Housed in the North Gallery adjacent to the 18th century Old Prison in Northleach and aptly named ‘Escape to the Cotswolds’, the new centre tells the fascinating story of the Cotswolds – a story based on stone and wool and how people have made a natural landscape even more beautiful over the centuries. The centre re-opens at the beginning of April and we are looking for volunteers to help staff the centre, particularly at weekends. 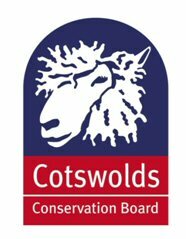 Anyone interested in volunteering at any time should call the Cotswolds Conservation Board on 01451 862000 Travel expenses to and from the centre will be paid as appropriate. Open, Intermediate, Veteran, Junior, Beginners and Novice and Beginner Pairs classes.